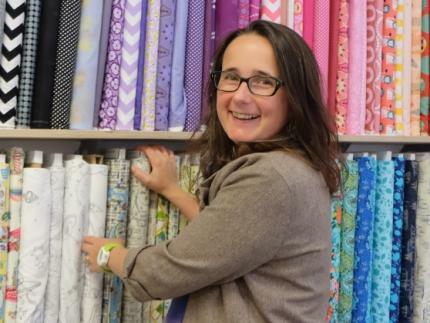 The Burwash Manor shop is a honeypot for local crafters seeking stylish, modern dressmaking and quilt fabric, quality haberdashery, squishy yarn and all things woolly. Daily classes in the light and airy studio space also make the shop a hub of community and learning. A keen stitcher herself, Alice stocks only products she would want to use personally, so the selection has been curated to her modern sense of style, and with keen attention to quality. Both the Burwash shop and the online shop are renowned for their excellent customer service. Friendly and helpful advice is always at hand.